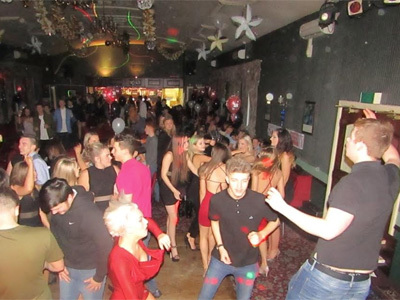 Belle Vue Working Mens Club - Hall Hire in Crook DL15 - Social Events Weddings Family Parties Function Room. Mobile disco DJ photo booth quotes. These respected DJs all have great reviews and are ready and waiting to help your party at Belle Vue Working Mens Club, Crook go with a bang! | Get FREE quotes NOW! The function room is upstairs and despite limited parking outside once in the room is laid out well. The bar is at the foot of the room, then the seating, then the dance floor, then the stage. Just how it should be. The room looks fine for a good 100 plus guests and bar prices were pretty good. You could fit a decent size band on the stage or its perfect for just a DJ. The following DJs and discos all cover the Crook area and are suggested by needadisco.com for events at Belle Vue Working Mens Club. The following pictures were uploaded by DJs following events at Belle Vue Working Mens Club.